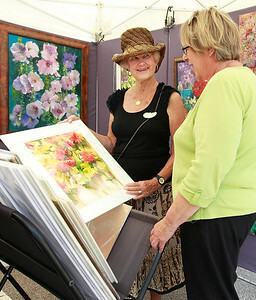 Candace H. Johnson Artist Priscilla Powers, of Buffalo Grove talks with Kathy Broxton, of Gurnee about her flower paintings for sale during the 21st Annual Grayslake Arts Festival in downtown Grayslake. 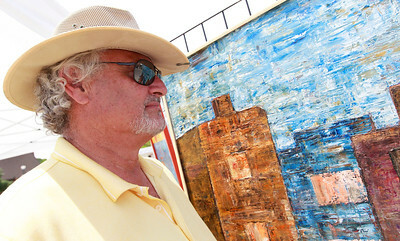 Candace H. Johnson Michael Caplin, of Grayslake looks at a painting his father-in-law, Gerald Winser, created, for sale during the 21st Annual Grayslake Arts Festival in downtown Grayslake. 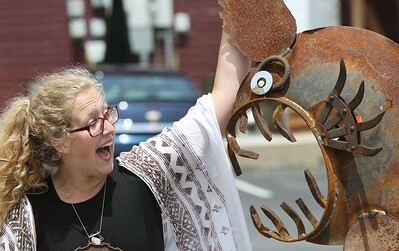 Candace H. Johnson Hannah Miles, of Burlington, Wis., has some fun with the metal sculptures in her booth called, T-N-A Garden Art, during the 21st Annual Grayslake Arts Festival in downtown Grayslake. 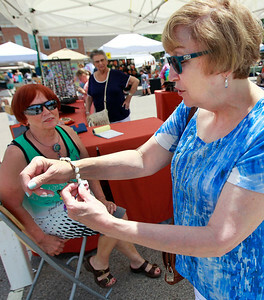 Candace H. Johnson Carol Rasmussen, of Warrenville with the Glass Cat helps Gayle Tavares, of Vernon Hills pick out a fused glass bracelet during the 21st Annual Grayslake Arts Festival in downtown Grayslake. 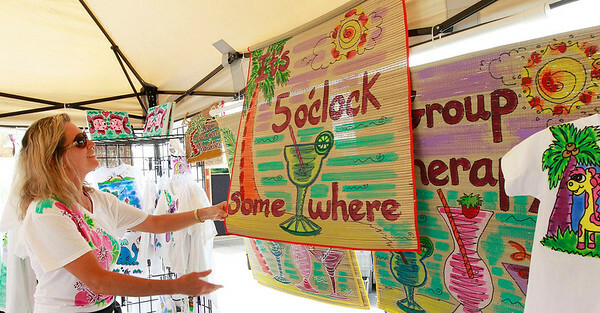 Candace H. Johnson Michelle Robinson, of Cary, works in her booth called, Coastal Critters, during the 21st Annual Grayslake Arts Festival in downtown Grayslake. Candace H. Johnson The 21st Annual Grayslake Arts Festival in downtown Grayslake.